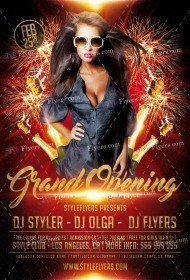 If you are going to open new café, club, restaurant, pub, business, etc., you can find in our listing many useful photoshop files for your promotions. 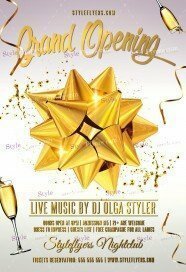 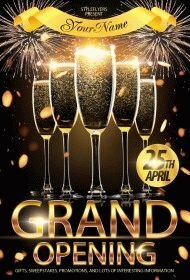 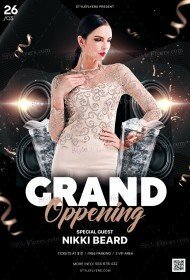 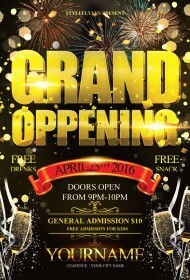 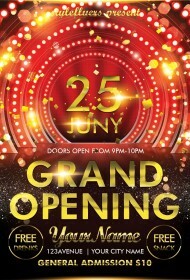 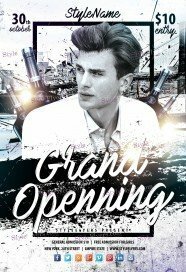 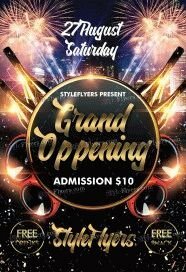 As you can notice, all our premium grand opening flyers templates have a luxury design. 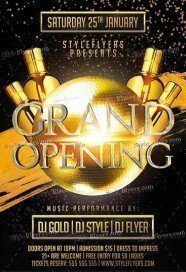 Many of them are performed in gold and black colors. 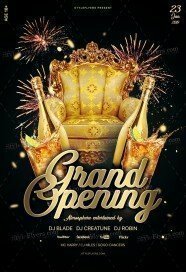 We think that it is the best color grade, which will attract many visitors to your event. But if you like brighter and multicolored flyers you can also find and buy grand opening flyer Psd templates to your liking. 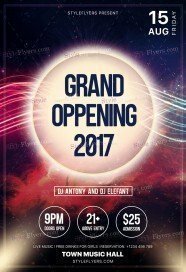 We try to satisfy ay needs so our designers create different printable samples with a unique design for sale. You can buy these high quality templates in one click. 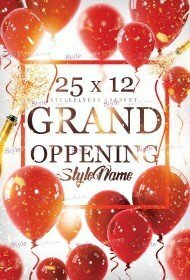 All our grand opening flyers have cheerful and celebratory embellishments, including champagne, fireworks, balloons, etc. We try to convey a celebratory spirit of grand opening parties. 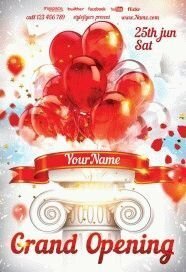 But if you think that we have missed some important detail or object you are free to make any customization. 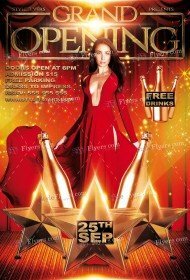 We provide our customers with freedom of choice and the opportunity to show their imagination and creativity. You can add any text, object and change a color grade. 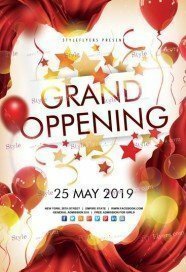 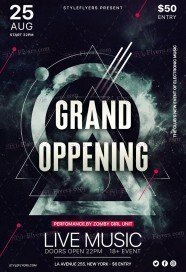 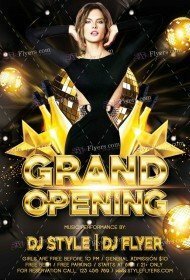 Buy grand opening flyer template and promote your event online. 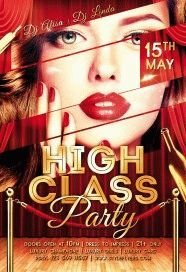 Use free Facebook cover for advertisement in the social media.